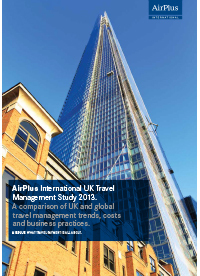 Download the latest research and white papers from AirPlus International. AirPlus International regularly conducts research and commissions white papers on key travel and payment industry topics. Here you can download these free resources and reports. AirPlus and Mastercard launch joint campaign for virtual cards. AirPlus International starts strategic partnership with Japan Airlines. AirPlus and Japan Airlines sign partnership agreement to offer business travel payment solutions in Japan. New powerful payment solution integrating comprehensive local Japanese and international transaction data for more efficient corporate travel management. AirPlus International and Airbnb are developing a new integrated solution for the booking, payment and billing of business-related travel. The expert in payment solutions in business travel management and the world's leading community-driven hospitality company will be introducing a fully automated solution during the coming year providing business travelers with a combination of best in class payment and travel management solutions with over 2.5 million accommodation choices across the world. 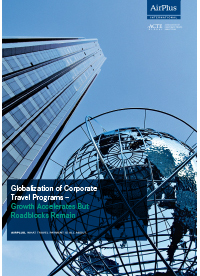 This white paper marks a pivotal moment for global travel management. Until now, travel management (whose birth is sometimes dated back to airline deregulation in the USA in 1978) has been a discipline where North America and Western Europe have led, then other regions have followed. Now, for the first time, the tables have turned. Are travel managers keeping pace with travelers on payments? We surveyed 2,270 business travelers worldwide to find out if they prefer the old or the new, or both, when it comes to payments. And we asked travel managers how their companies are paying for travel. The results are essential reading. 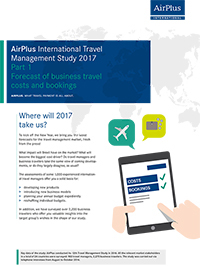 The first part of the AirPlus International Travel Management Study 2017 delivers a forecast of business travel costs and bookings. Future reality or flight of fancy? 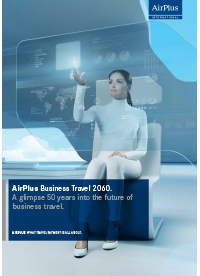 This white paper looks at the potential furutre of business travel. While not a definite outlook on the future, this paper outlines some of the key trends and potential developments that may emerge and affect the way travel is managed. 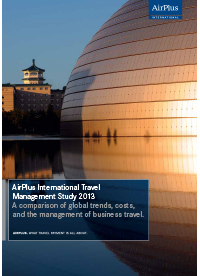 Welcome to Part 1 of the annual AirPlus International Travel Management Study, now in its eleventh year. Once again, we have asked travel managers in no fewer than 24 countries how they see business travel prospects for the 12 months ahead. But this year there is more. For the first time we have sought the views of business travellers too. 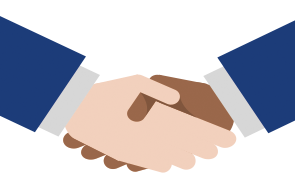 The prospect of writing Requests for Proposals (RFPs) and then processing the answers is a daunting one. However, with a little forethought, the excercise can not only be simplified but can also elicit a more relevant amd targeted response from suppliers. "Think globally, act locally" is a much-used phrase in corporate travel. While easy enough to say, putting it into practice is considerably harder. This white paper therefore defines some local issues which continue to trouble global programs and suggests ways in which the gap between global and local might be bridged. 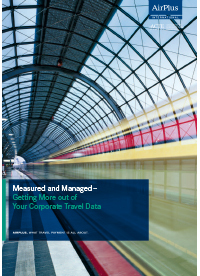 This white paper provides a snapshot of how some of the best and brightest in corporate travel are getting more out of their data. They genuinely are managing as well as measuring, identifying challenges in what the data tells them and then taking positive action to make their programs even better. There is definitely no "one size fits all" approach to data management, but many of the best practice lessons reported here would translate well to other organisations. 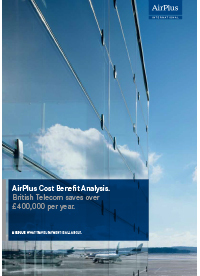 This study shows how British Telecom saves more than £400,000 per year since implementing AirPlus solutions, highlighting the real tangible benefits of working with us to streamline their processes. 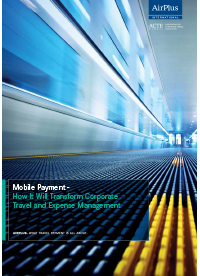 As one of the travel and technology experts interviewed for this white paper describes the present situation, "There is no adoption yet of mobile payment in the corporate environment but there is a lot of interest." Uniting the strengthe of travel managers and treasury. 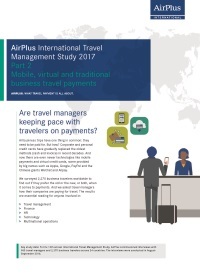 This AirPlus whitepaper for travel managers and treasury mediates between two worlds and provides valuable arguments for professional T&E payment solutions. 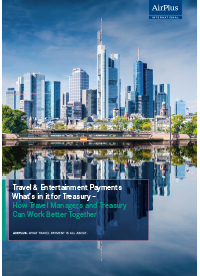 Travel & Entertainment - What's in it for Treasury? 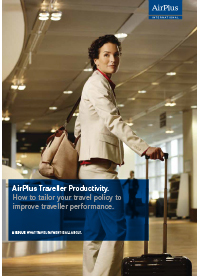 New white paper from AirPlus offers advice on how travellers can remain at the their best, even when travelling frequently. 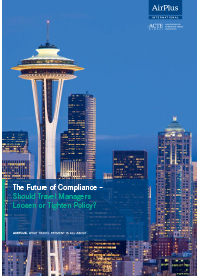 The Future of Compliance - Should Travel Managers Loosen or Tighten Policy? Interviews with travel buyers regarding the question of whether travel policy needs to be transformed. A challenging economy has applied increased discipline to the practice of travel management. 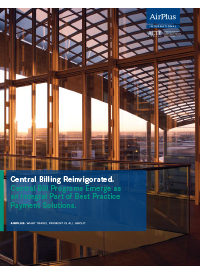 As demand for tighter controls and better data ripple throguh the ranks of corporate travel stakeholders, central bill payment programs emerge as an integral part of the solution. Welcome to Part 1 of the annual AirPlus International Travel Management Study, our annual barometer of corporate travel manager sentiment in 24 countries. This is the tenth anniversary of the study, makig it comfortably the world's most comprehensive survey of travel manager thinking in terms of both global reach and durability. Are employees motivated or frustrated by travelling for business? 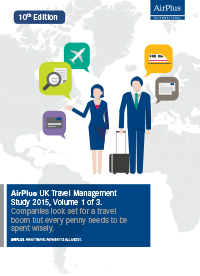 We questioned 941 travel managers in 24 countries worldwide on this issue for the second part of the 2015 AirPlus International Travel Management Study. This white paper examines two fast-developing economies at this moment of transition: Brazil and Turkey. While the details are different, the general picture is that Western-style travel management practices are beginning to emerge. Part two in our comparison and analysis of global trends, costs, and the management of business travel. 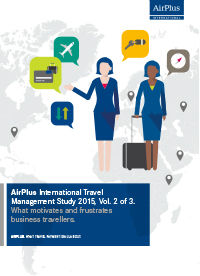 A total of 958 travel managers from 24 global business travel markets were surveyed for the ninth AirPlus International Travel Management Study. 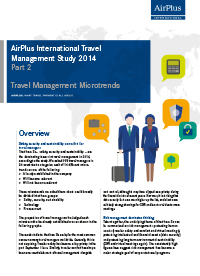 A comparison and analysis of global trends, costs, and the management of business travel. 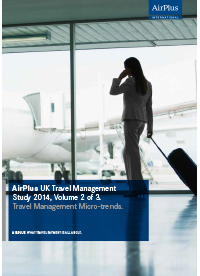 An in depth analysis of the trends, costs and management practices within the UK business travel market. Using the results from the global edition of the study, this report provides an overview of the trends and shifts within the local industry. 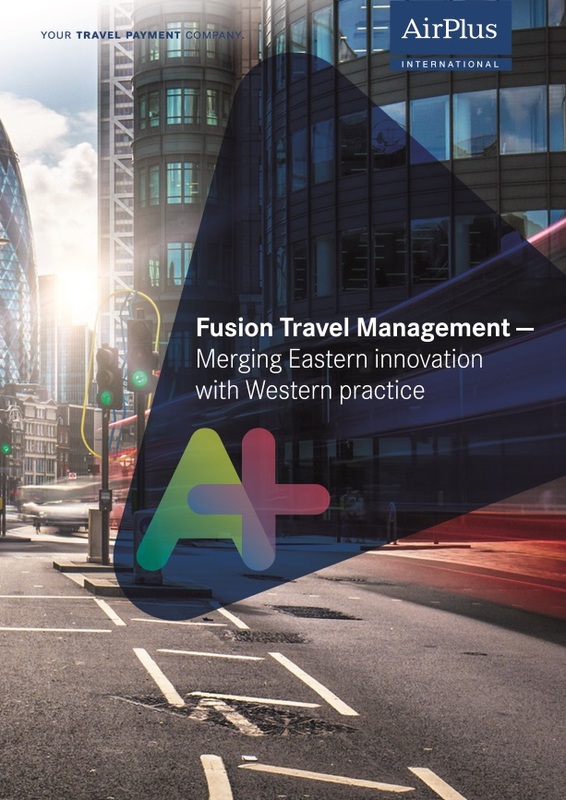 Part two of our in depth analysis of the trends, costs and management practices within the UK business travel market. An in depth analysis of the trends, costs and management practices within the business travel market within the United Kingdom. Using the results from the global edition of the study, this report provides an overview of the trends and shift within the local industry. 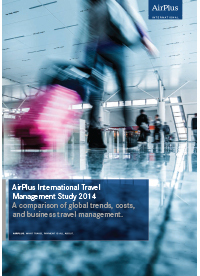 A comparison and analysis of global trends, cost, and the management of business travel. 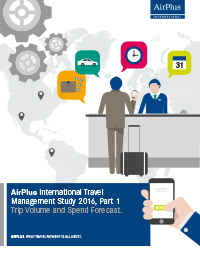 A total 2,101 travel managers from 24 global business travel markets were surveyed for the eighth AirPlus International Travel Management Study. A comparison of global trends, costs, and the management of business travel. 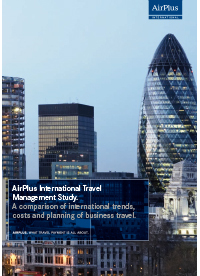 A total of 1,700 travel managers from 20 global business travel markets were surveyed for the sixth AirPlus International Travel Management Study. 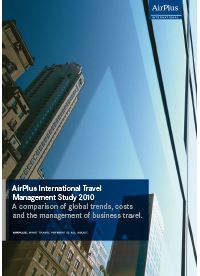 This survey was conducted in 2008 by the international market research company 2hm on behalf of AirPlus International. 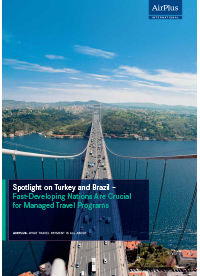 A total of over 1,500 travel managers - at least 100 in each country - were surveyed.